(Leah Hogsten | The Salt Lake Tribune) “I can’t be approved for my next apartment by the time I need to be out,” said Robert Gardner, right. On Monday, Gardner and his wife and three children — along with tenants in up to 42 other units at Georgia Apartments in Salt Lake City — were given three days to move out. 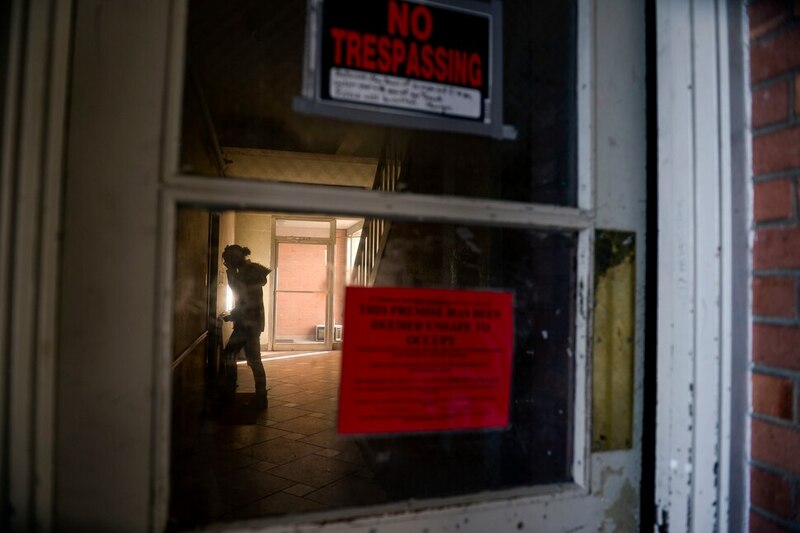 City officials issued a “red tag” order to the building’s landlord after multiple requests to bring the building up to code went unheeded. Leah Hogsten | The Salt Lake Tribune Security guards on fire watch roam the Georgia Apartments on Monday for safety reasons while tenants vacate the premises. Dozens of Salt Lake City residents living at the Georgia Apartments have 72-hours to evacuate their homes. Salt Lake City Fire Department issued a red tag order to evacuate to the owner of the property, Feb. 11, 2019, due to multiple violations that place tenants in extreme fire danger. Leah Hogsten | The Salt Lake Tribune Dozens of Salt Lake City residents living at the Georgia Apartments, above, have 72-hours to evacuate their homes. Salt Lake City Fire Department issued a red tag order to evacuate to the owner of the property, Feb. 11, 2019, due to multiple violations that place tenants in extreme fire danger. Leah Hogsten | The Salt Lake Tribune Salt Lake City Fire Chief Paul Paulsen announced on Monday that dozens of Salt Lake City residents living at the Georgia Apartments have 72-hours to evacuate their homes. Salt Lake City Fire Department issued a red tag order to evacuate to the owner of the property, Feb. 11, 2019, due to multiple violations that place tenants in extreme fire danger. Leah Hogsten | The Salt Lake Tribune Georgia Apartments resident Bernice Young fills out paperwork in the hopes of finding new, immediate housing on Monday. Dozens of Salt Lake City residents living at the Georgia Apartments have 72-hours to evacuate their homes. Salt Lake City Fire Department issued a red tag order to evacuate to the owner of the property, Feb. 11, 2019, due to multiple violations that place tenants in extreme fire danger. (Leah Hogsten | The Salt Lake Tribune) Lorraine Ruiz, center, and Tiffany Clement, right, with Utah Non Profit Housing Corporation, were on hand at the City and County Building to assist the Georgia Apartments resident, left, and others find other housing. Dozens of Salt Lake City residents living at the Georgia Apartments have 72-hours to evacuate their homes. 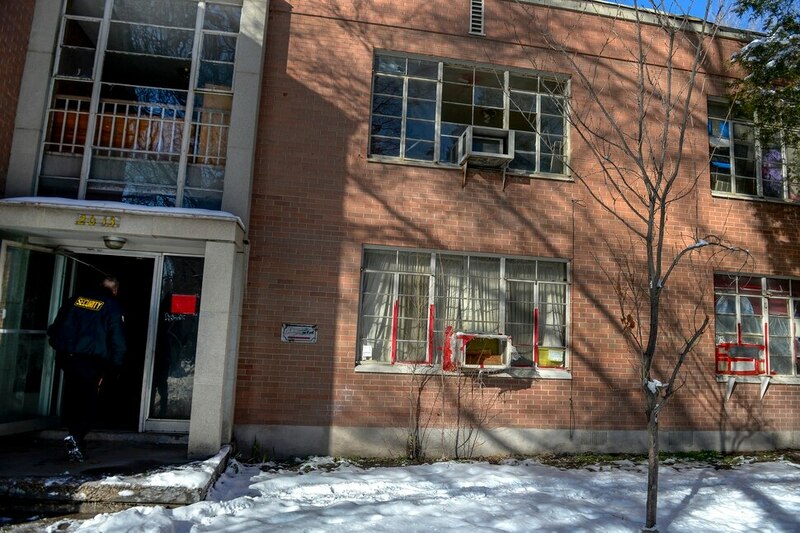 Salt Lake City Fire Department issued a red tag order to vacate the building to the owner of the property on Monday, Feb. 11, 2019, because of multiple violations that place tenants in extreme fire danger. 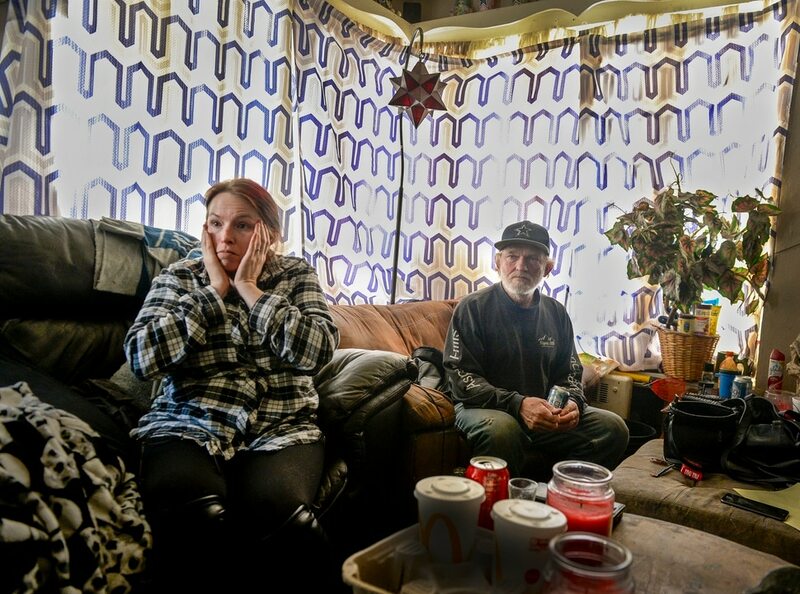 Leah Hogsten | The Salt Lake Tribune Dozens of Salt Lake City residents living at the Georgia Apartments have 72-hours to evacuate their homes. Salt Lake City Fire Department issued a red tag order to evacuate to the owner of the property, Feb. 11, 2019, due to multiple violations that place tenants in extreme fire danger. Leah Hogsten | The Salt Lake Tribune Dozens of Salt Lake City residents living at the Georgia Apartments, above, have 72-hours to evacuate their homes. Salt Lake City Fire Department issued a red tag order to evacuate to the owner of the property, Feb. 11, 2019, due to multiple violations that place tenants in extreme fire danger. Correction: Updated at 2:19 p.m. on Feb. 12 >> A photograph caption on a previous version of this story misidentified Paul Paulsen. He is the Salt Lake City division chief and fire marshal.